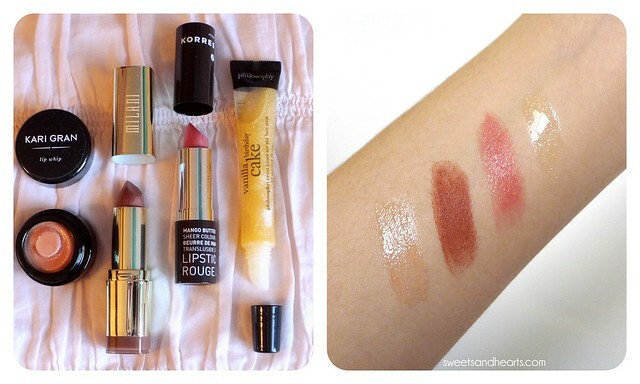 For all my fellow lipstick loving friends, there's finally a subscription box for you! The O.C. Lipstick Club is a new monthly subscription box that caters to your beauty preferences while providing a selection of curated lip products, including luxury, indie, and trendy brands. I received a complimentary box for review. A packet of bonus gifts! See what I got below. I was impressed with the selection and liked that it was a variety of brands--most of which I'd never tried before. The whole box has a retail value of over $70 (!) but only cost $30, making it such a steal. Each box is thoughtfully packed with cute packaging too. My favorite item in the box was the Kari Gran Lip Whip. It has a smooth texture and a nice, subtle shine with just a hint of shimmer. The minty scent is quite refreshing too. The Milani lipstick in #69 is a deep neutral mauve. It had an opaque matte finish with fantastic color payoff. It also felt lightweight, which is something I look for when buying lipstick. 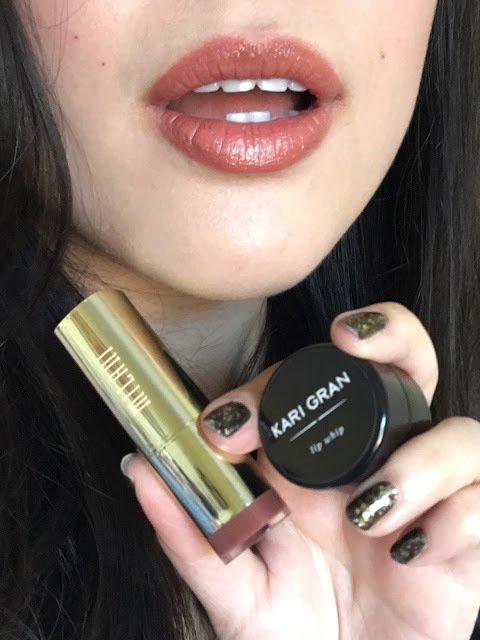 I'm a fan of Korres beauty products but hadn't tried their mango butter lipstick yet, so I was most excited for this one. 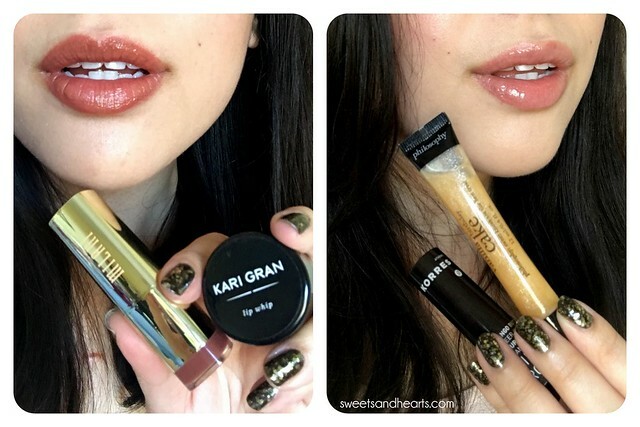 It reminded me of a tinted lip balm and had a sheer and slightly glossy finish. I got it in "Natural Pink 13", which showed up as a sheer coral on my skintone. Lastly, the Philosophy flavored lip shine is a lip gloss with a light gold sparkle. The squeeze tube and slanted applicator make it easy to apply. I didn't care too much for the scent (it was a little strong), but it's a decent gloss that applies evenly. Right: Korres Mango Lip Butter Lipstick in "Natural Pink #13" + Philosophy Flavored Lip Shine in "Vanilla Birthday Cake"
Four lip products and a mini fragrance bottle already seem generous for a $30 box, but there's more! There's even a bonus treat bag filled with samples and gifts. 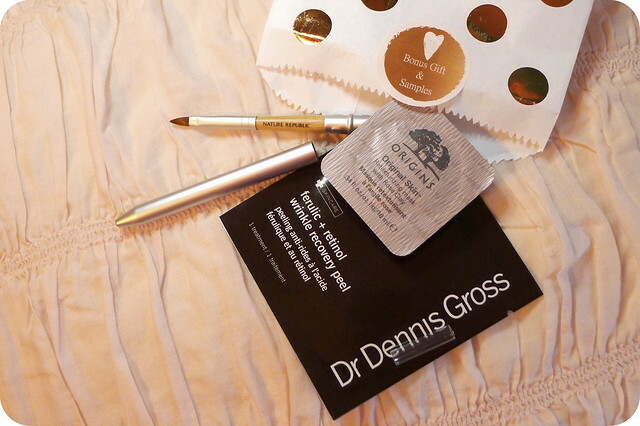 Mine included an Origins mask sample, a travel lip brush (I really needed this), and a Dr. Dennis Gross peel sample. Overall, this subscription box is an incredible value filled with quality products, most of which are high-end! I highly recommend it if you're a lipstick or beauty enthusiast who is interested in trying different brands. Thanks to O.C. Lipstick Club for the box. Want your own? Get one here.